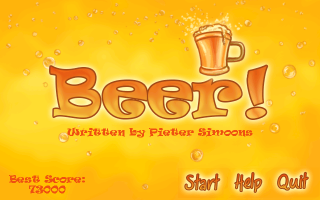 Adventure Game Studio | Games | Beer! Created for the second AGS Bake Sale, Beer! 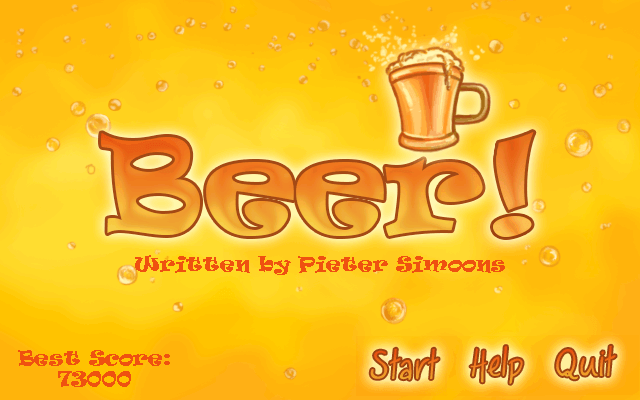 is a collection of frantic minigames where you have to grab the beer in each level under a very short time limit. Easy to pick up and difficult to master, this game rewards quick and out-of-the-box thinking. It comes with a cheerful cafe-style soundtrack, and assorted cast of bears and deer. It can be bought as part of the second Bake Sale bundle, the proceeds of which go to maintenance of our adventure game creation community. 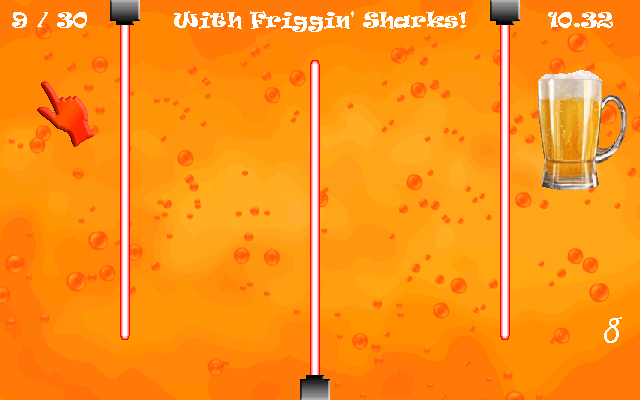 Featuring 33 levels including a secret one, record keeping, and several cameos. Suitable for all ages; alcohol not included. This is a very weird game with a slightly unsettling "just one more go" feeling. Maybe it's the gaming equivalent of feeling slightly drunk. I don't know. 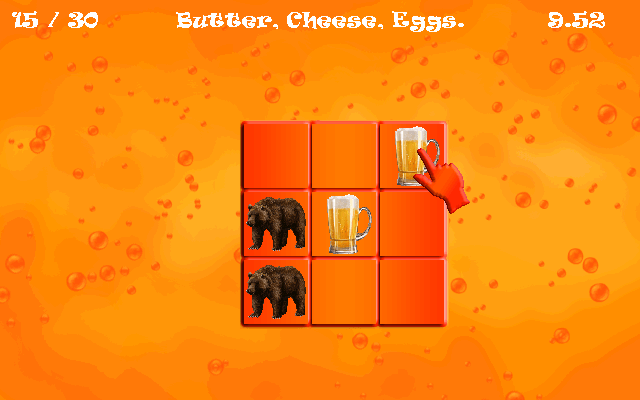 An odd mixture of arcade and puzzle mini-games, some work better than others.